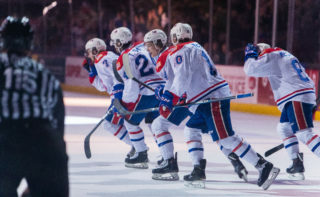 SPOKANE, Wash — The Spokane Chiefs, in their third game in as many nights, fell to the Seattle Thunderbirds on Sunday at Spokane Arena by a score of 10-3. Spokane heads into the mid-season holiday break with a 19-13-1-2 record, five points back of first place in the U.S. Division. Donovan Neuls got the scoring started for the T-Birds just 20 seconds into the game, cleaning up a rebound out in front of the net to make it 1-0. Spokane’s Jaret Anderson-Dolan answered on a power play at 3:14, taking a Hudson Elynuik feed and snapping it home from the top of the left circle. Seattle closed out the period by adding on goals from Nolan Volcan and Austin Strand to make it 3-1 heading into the first intermission. The Thunderbirds kept things rolling into the second, picking up goals by Blake Bargar and Nikita Malukhin. 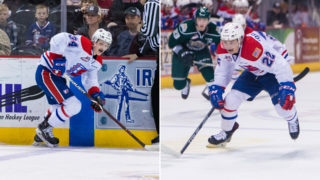 After the goal by Malukhin – Seattle’s fifth of the game – Coach Dan Lambert made the switch to 15-year-old rookie goalie Campbell Arnold, making his WHL debut as an Affiliated Player after being called up on Saturday. Zack Andrusiak managed to sneak one by Arnold at 18:48 to extend Seattle’s lead to 6-1 as the period wound down. Anderson-Dolan added on his second power play goal of the night and 16th of the season, giving him 13 points over his last 10 games. Arnold earned the secondary assist on the play after dropping the puck off for defenseman Ty Smith. Riley Woods cashed in with a goal of his own just over a minute later, finding the near post from the left circle, but the comeback was not to be. 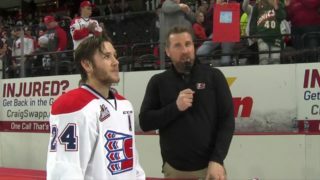 Seattle followed up the Chiefs’ scores with four more of their own in the final period, including three unanswered as fatigue appeared to set in for Spokane as they wrapped up their third game in less than 36 hours. 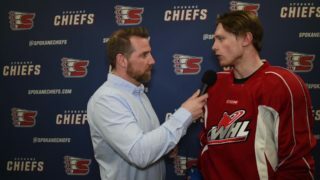 The Chiefs outshot the Thunderbirds 34-29 on the night and went 2-for-4 on the power play while Seattle went 2-for-3 with the man advantage. Rookie goalie Campbell Arnold saved 5 of 10 shots faced in 25:10 of ice time. Donovan Buskey saved 14 of 19 in 34:50. The Chiefs enter the midseason holiday break after tonight’s game. 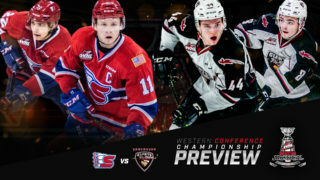 They’ll return to action Wednesday, December 27 when they host the Seattle Thunderbirds on another TicketsWest Player Magnet Giveaway Night at Spokane Arena. 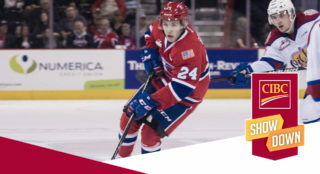 Tickets for next Wednesday and all Chiefs home games are available in-person at the Chiefs’ Ticket Office, over the phone at 509-535-PUCK and online at spokanechiefs.com.